Referring to ”partners” rather than husband or wife gives no special challenge to the man to demonstrate the masculine qualities which he brings to a marriage. Men have to accept the limitations imposed by a commitment to marry. Both husband and wife must exercise self-control and the acceptance of boundaries, although in ways which are somewhat distinctive. My greatest interest in the draft service the diocese has prepared is the high standard being proposed for men. When a husband promises to love his wife as Christ loved the church and give himself up for her, he is declaring his intention to be a man of strength and self-control for her benefit and for the benefit of any children born to them. Such qualities, properly exercised in the spirit of self-sacrifice, enhance the feminine and personal qualities of his wife. Each marriage and each era will work this out differently. 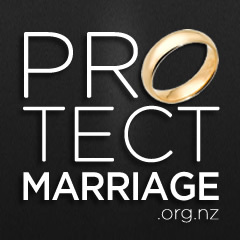 It is in this context and this alone that the revised marriage service enables a woman to promise submission. Her submission rises out of his submission to Christ. It is a pity that the present discussion has been so overtly political. Instead of mocking or acting horrified, we should engage in a serious and respectful debate about marriage and about the responsibilities of the men and women who become husbands and wives. The Bible contains great wisdom on this fundamental relationship. The rush to embrace libertarian and individualistic philosophy means that we miss some of the key relational elements of being human, elements which make for our wellbeing and happiness. It’s time to rethink marriage from first principles. It really matters. Peter Jensen is the Anglican Archbishop of Sydney.